- Convenient jaw quick-change system. Minimizing set-up times and costs. - Large through-hole. Machining of all standard pipe diameters. - High efficiency of the wedge bar system. Process-reliable clamping due to high clamping forces. - High jaw quick-change repeatability. No reboring of already machined jaws necessary. - Optimized lubrication system. Consistently high clamping forces are ensured. - Modular center sleeve system. Optimum adjustment to new clamping tasks due to exchangeable center sleeves. - GBK straight-serrated base jaws. Compatible to ROTA-G and system “R“ (Reishauer). - Two mounting bolt circles. 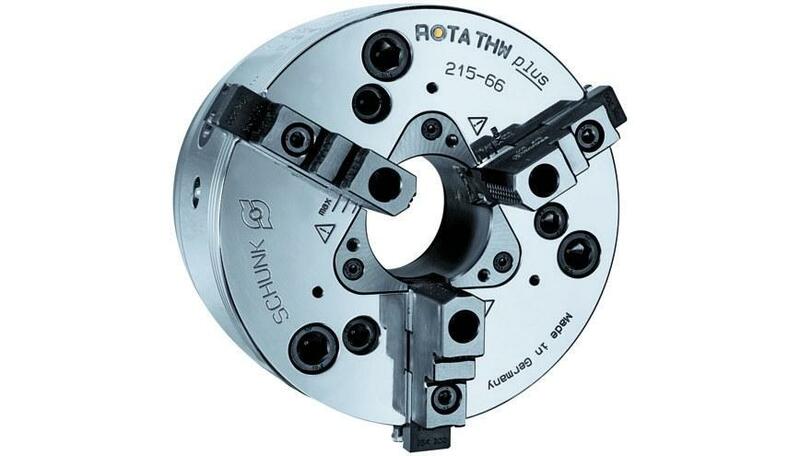 For fast and direct attachment to all commercially available spindle heads. - All functional parts are ground and hardened. Ensures a long service life.